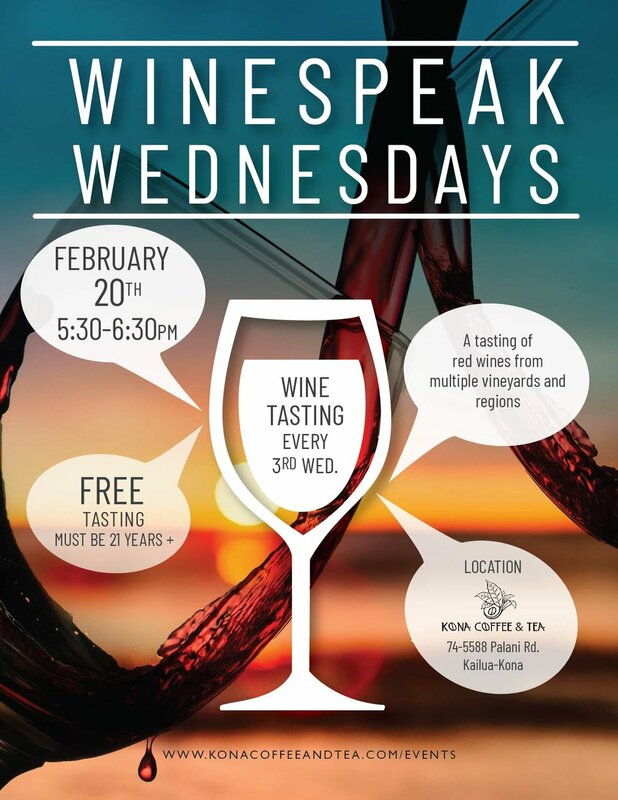 WineSpeak Wednesdays are a monthly wine tasting event at Kona Coffee & Tea and they are FREE (for those 21 years or older). Join us on Wednesday, February 20th, at 5:30pm. Free tasting starts at 5:30pm. As supplies last. Tasters must be 21 years and older. Each taster will get a sample pour of two wines.